Nearly 200 people packed a room in the Raleigh, N.C., convention center for the Nullify Now! event last Saturday. The standing room only crowd spent an entire day absorbing information on nullification and learning how they can apply the principle to rein in an overreaching federal government today. The day’s slate of speakers covered the historical, constitutional, moral and philosophical case for nullification, and attendees responded enthusiastically throughout the day. National radio host Mike Church kicked off the event with an overview of the formalization of the principles of nullification in the Virginia and Kentucky resolutions. Church explained the Alien and Sedition acts and then dug deep into James Madison and Thomas Jefferson’s response. He pointed out that it was the citizens of Virginia and Kentucky who inspired nullification, and read extensively from resolutions passed in local assemblies. “It was the people who sparked nullification of the Alien and Sedition Acts. It wasn’t just a bunch of politicians,” he said. Tenth Amendment Center national communications director Mike Maharrey took the stage next, explaining the early history of nullification. 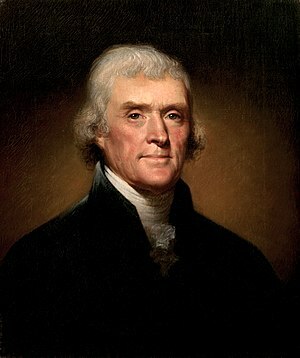 Maharrey pointed out that northern, Federalist Party controlled states that opposed the Kentucky and Virginia resolutions embraced them when Jefferson initiated his embargo and when the Madison administration tried to conscript troops during the War of 1812. He went on to obliterate the conventional wisdom holding that nullification was used to support slavery. Maharrey went into detail explaining northern nullification of the Fugitive Slave Acts through personal liberty laws. He then personalized history by telling the story of Joshua Glover, an escaped slave who was captured in Wisconsin, freed by the people of Milwaukee and ultimately escaped to Canada. Maharrey then challenged the audience to stand up for freedom in the same way those who helped Glover did. He closed by reminding the audience of Rosa Parks and her bold stand on that Montgomery, Ala., bus. Jason Rink closed out the morning session talking about modern applications for nullification. Rink heads up the Foundation for a Free Society and produced the nullification video. Rink focused much of his attention on the War on Drugs. “Every time we have a war on something, we seem to get more of it. The war on poverty? The war on drugs? Maybe we should have a war on jobs!” he said. Read the rest via Nullify Now Raleigh Rocks North Carolina | Tenth Amendment Center.